A low coefficient of drag, measured at .30 in wind-tunnel testing, helps deliver increased MPG and makes Elantra GT more aerodynamic than the Subaru Impreza. 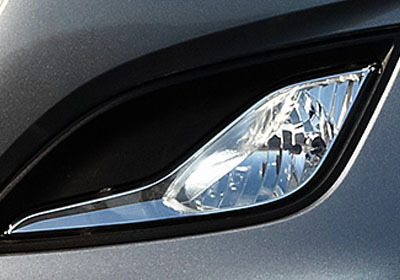 Fluidic Sculpture is the Hyundai design language that takes its inspiration from the flow of wind and water and their effects on the elements in nature. As you can see, the Elantra GT speaks the language like a native. With the rear seats folded down, the Elantra GT’s 119.1 cu. ft. of interior volume and 51.0 cu. ft. maximum cargo volume are both more than the Ford Focus 5-Door. 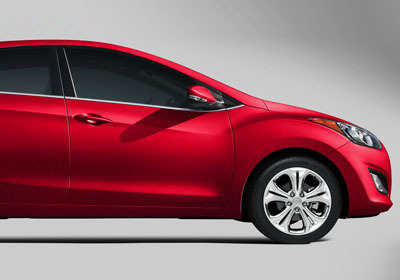 As a matter of fact, the Elantra GT has so much room inside that it feels like a midsize car instead of a compact. A few of the convenient storage areas you’ll find in the Elantra GT include: a cooled glove compartment, a front center-console storage tray, an overhead sunglass holder and a rear-seat center armrest with cupholders. For added flexibility, there is a 60/40 split fold-flat rear seatback and an available rear hidden cargo-area storage compartment. 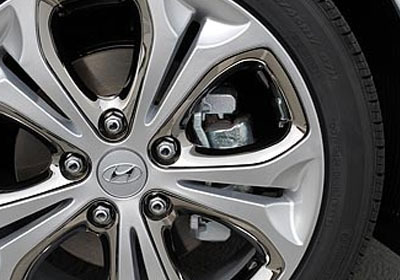 In addition to the driver’s knee airbag, the Elantra GT has six more standard airbags along with safety innovations such as: Vehicle Stability Management (VSM) system, Electronic Stability Control (ESC), Traction Control System (TCS) plus Anti-lock Braking System (ABS) with Brake Assist (BA) and Electronic Brake-force Distribution (EBD).